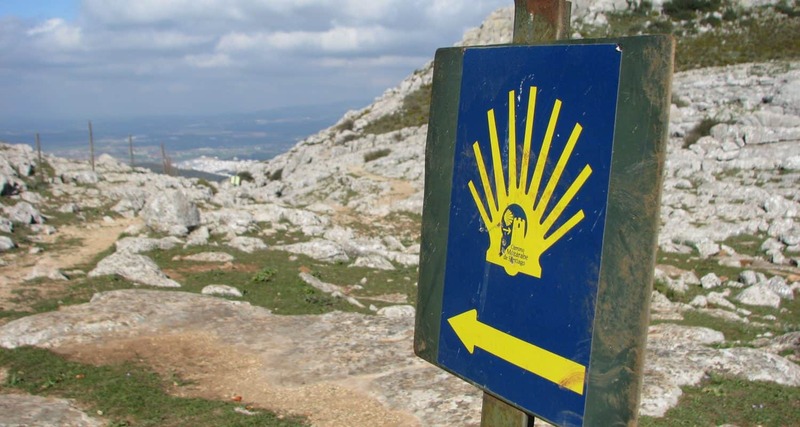 Hike one of Spain´s oldest and most iconic trails, the Camino Mozárabe de Santiago, with TOMA & COE. 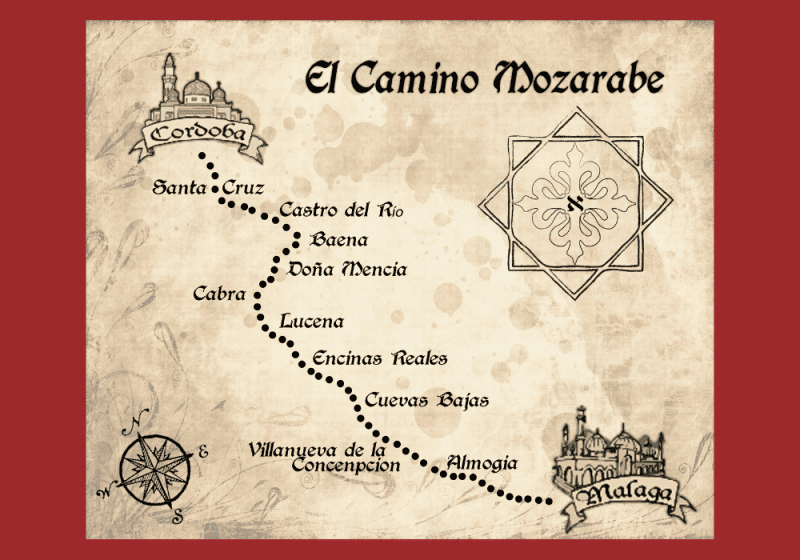 Every year thousands of pilgrims embark on the Camino de Mozárabe, a route of ancient trails cutting through the heartlands of Spain. Here at TOMA & COE we offer you the opportunity to join them in a journey of physical and emotional enlightenment. We've combined walking with wellness to create a truly unique experience for our guests. Re-focus your mind and body by starting and ending each day with guided yoga and meditation sessions, led by US Yogadeva Erin Fleming. Reach a deeper level of spiritual understanding, free yourself of mental and emotional baggage and return home a changed person! 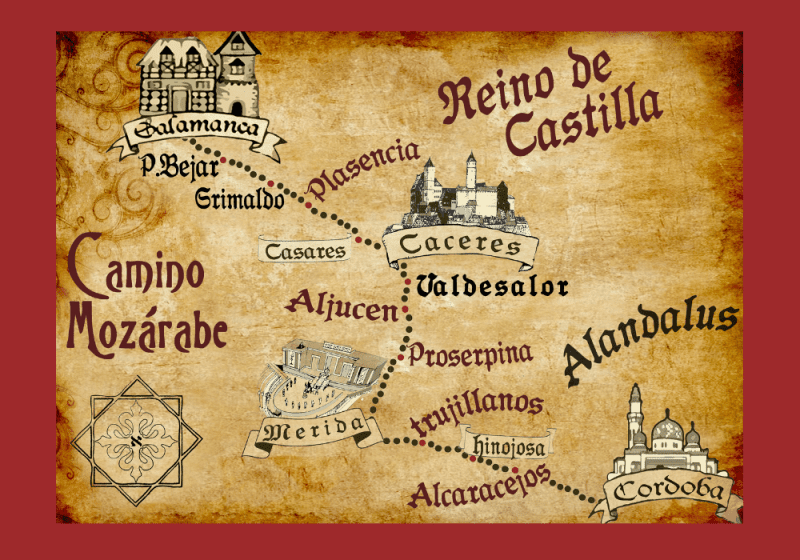 Our Camino de Mozárabe route is split into 3 parts - from Málaga to Santiago - which guests can join at any stage they choose. Walking the Camino Mozárabe alone? We welcome solo travellers and are confident that hiking with TOMA & COE will provide you with personal connections that last a lifetime. In 2015, US based yoga instructor Erin Fleming met TOMA & COE founder Manni Coe on a tour he was leading in Andalucia. Their connection was immediate: Both were passionate about travel. Both had found walking the Camino de Santiago one of the most profound and rewarding experiences of their life. Both were committed to sharing this experience with others in a way that was truly unique. 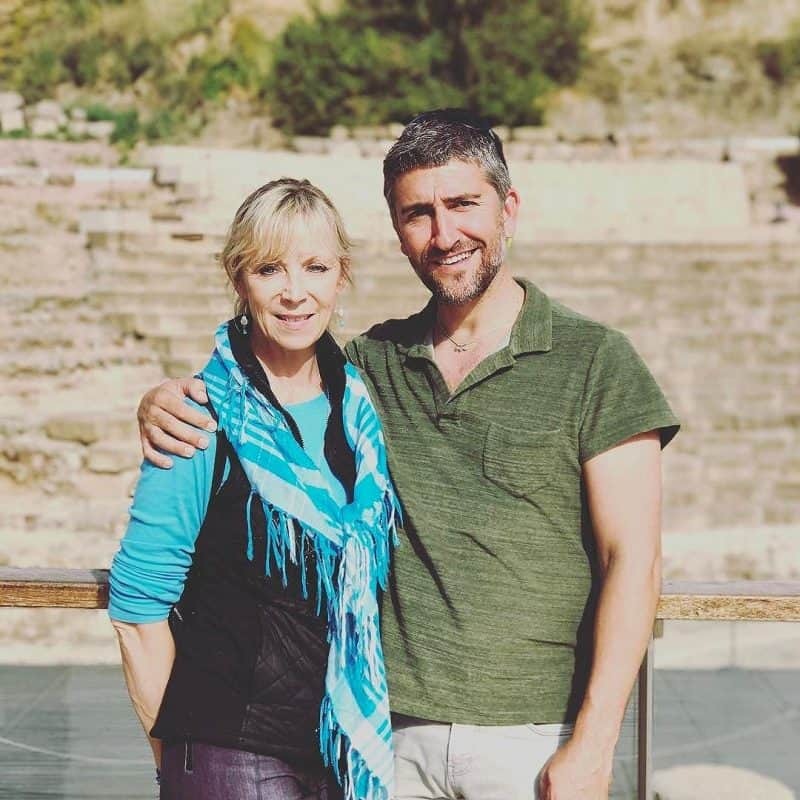 By combining Manni’s extensive knowledge of Spain and love of guiding with Erin’s incredible talents as a yoga teacher, the idea of the Trilogy Yoga Pilgrimage was born. They first showcased this tour with a very special group of of American ladies in 2011, and the response they received was overwhelming, with one of the pilgrims branding it “the best travel experience of my life”. Erin and Manni continue striving to ensure the needs of their tour guests are met. 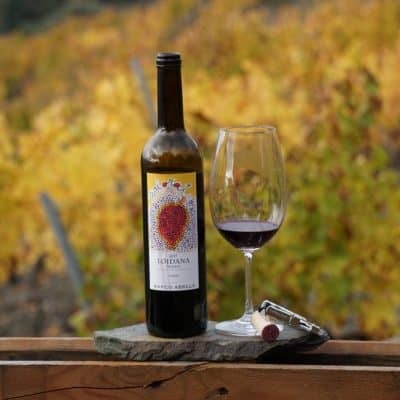 They work hard to team beautiful boutique accommodation with fabulous food and wine, and make sure they serve as a cheerleader, confidant and friend to their pilgrims on every step of their camino. 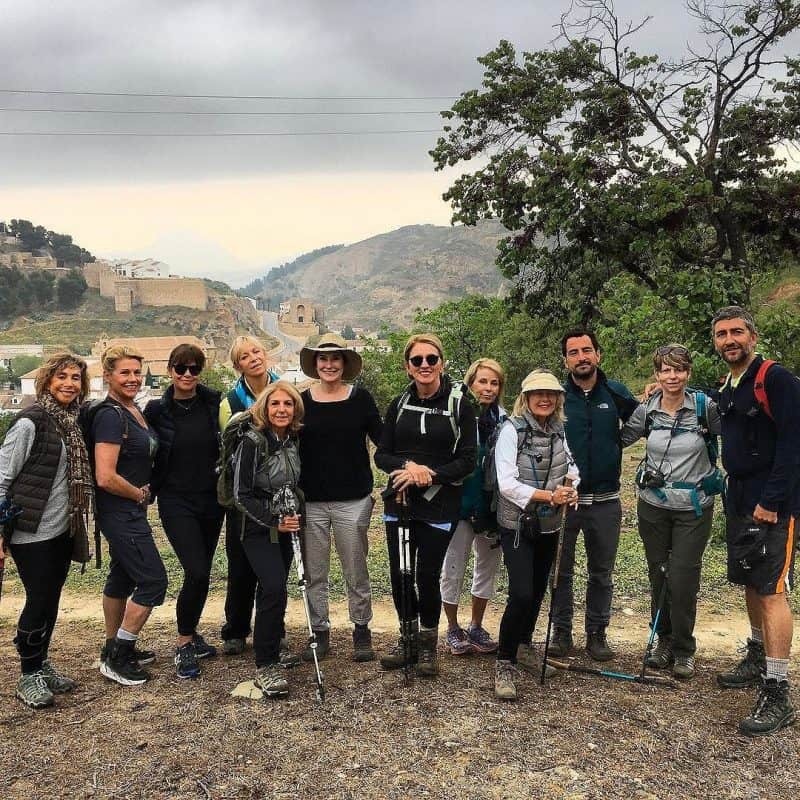 Walk the Camino de Mozárabe with Manni and Erin in 2019 for an experience you will never forget. 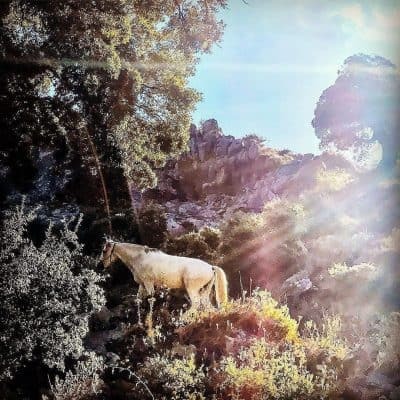 Explore Spain in a unique way by following ancient trails through some of the most arrestingly beautiful landscapes the country has to offer. 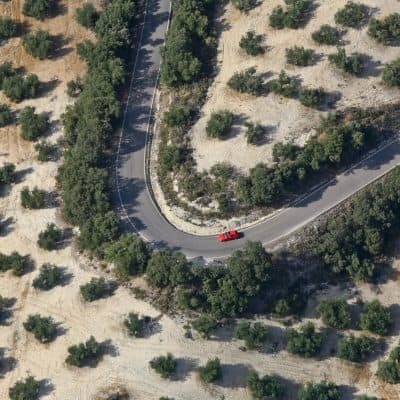 We will lead you away from the masses on a road less travelled, allowing you to fully immerse yourself in the pilgrim experience. Yoga is intrinsic to our pilgrimage experience. You will be led most mornings in walking meditations. Every afternoon we will practise yoga back at base in the hotel. This results in a fully immersive pilgrimage experience, and one in which the internal journey is equally as important as the external. Pilgrimages don't have to mean roughing it! Stay in a range of fabulous accommodation, handpicked to give your camino a touch of luxury: from cosy, authentic Spanish farmhouses to sumptuous hotels we guarantee you a comfy bed to rest your head in at the end of a long day´s walking! Enjoy fantastic local food and wine at every stage of your journey, in a range of carefully selected, authentic restaurants along the route. 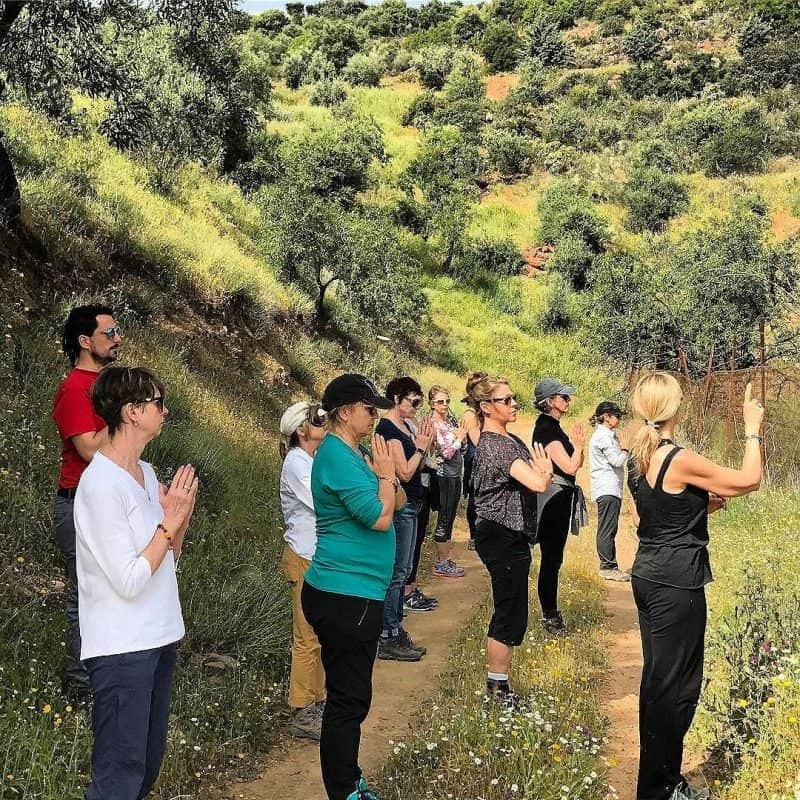 Our EXTRA special Camino Mozarabe Pilgrimage, co-hosted by Yogadeva Erin Fleming will incorporate meditation and yoga alongside our Camino experience. Places are limited so book yours today. 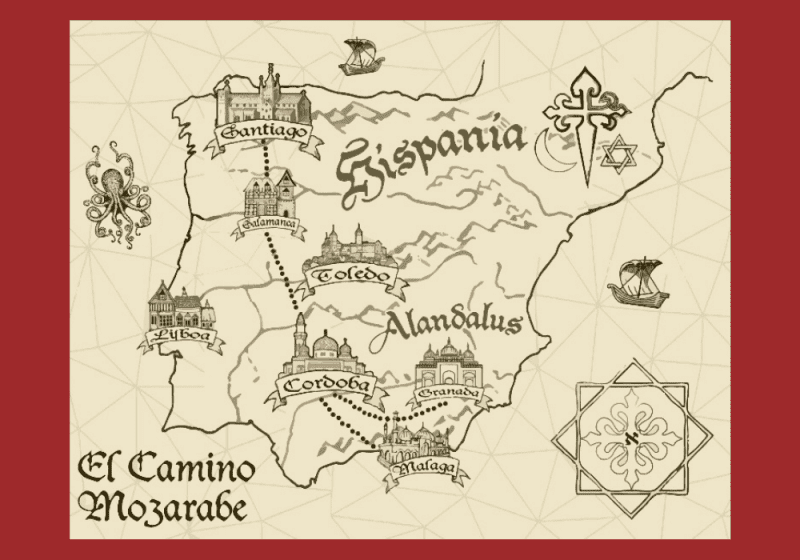 To reserve your place on our Camino and Yoga pilgrimage go to our Upcoming tours page and choose your preferred date. Click on each of the links below to learn more about the individual sections of this trilogy yoga pilgrimage tour.